How are you? Are you happy and well? Fear not if you didn’t score a giftie in the giveaway; I already have idea seeds to grow into giveaway plants. Things have been quite busy-busy around here, and not in the happy-joy-joy crafty way. There has been crafting, but not nearly enough because I’ve recently started working full-time. Overall, that’s a GREAT thing, because money lets me buy yarn and get my sewing machine serviced (it was PROPERLY overdue, and I’m sure if I’d waited any longer, it would would have murdered me in an explosion of needles and machine parts). But generally the whole grown-up thing tires me out. Getting my sleeping pattern back to regular human cycles has been tricky; I was almost nocturnal before, I’m a happy-chappy in the nighttime. But, after three weeks of learning the ropes and going to bed at reasonable times, I’m gradually finding the energy and space to squeeze more SRS KFTY TAIMZ into my week. Hurray! So, since I’ve been in a state of flux, I figured the best post for now was an Instagram Catch-Up, which we’ve been a bit overdue for. 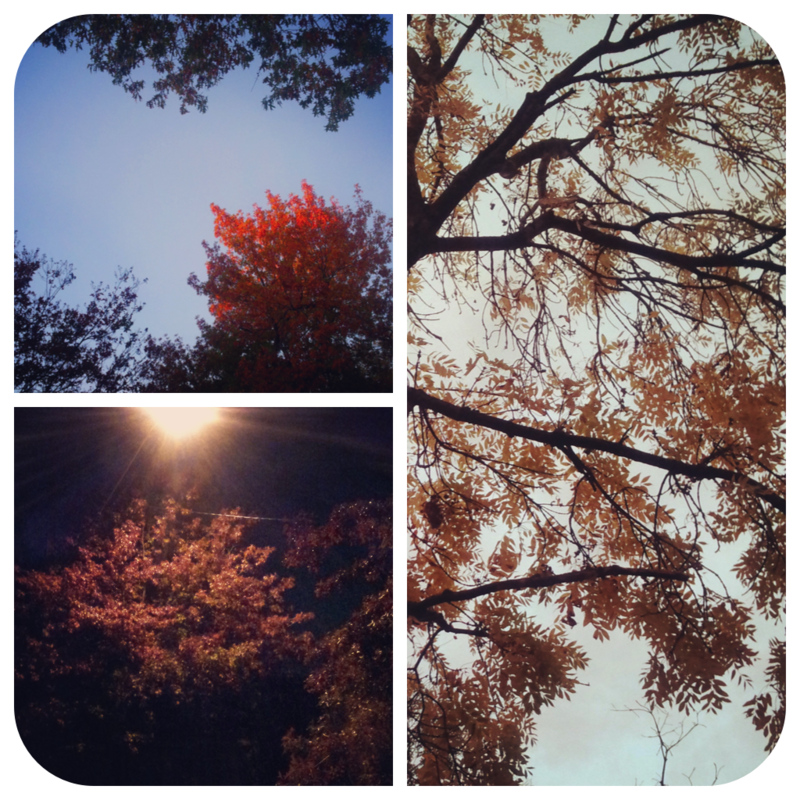 It’s Fall here in Melbourne, and I’m completely obsessed with it. I live in a really leafy suburb with lots of massive, old, deciduous trees so the colors have been magical. The cooler weather also means that I can wear my fave clothes, like my overalls, cardigans and silly crocheted hats. I’ve also started wearing bow-ties because my workplace is a bit less casual than the last places I’ve worked, and regular ties are boring. I don’t want to look like the grey suited army that occupy the Melbourne CBD. I had to buy new clothes too because I was a bit of a scrappy, scruffy ragamuffin. The hard part about my bow-ties is that my neck is totally, freakishly out of proportion with the rest of me, so finding shirts that fit and allow me to button the collar and not look like a mu-mu is tricky. Oy. After months of our oven not working, I finally managed to get it going so then I went crazy and needed to BAKE ALL THE THINGS because I’ve been watching Rosanna Pansino’s Nerdy Nummies YouTube series. So, I raided Daiso and Safeway for all their baking implements. 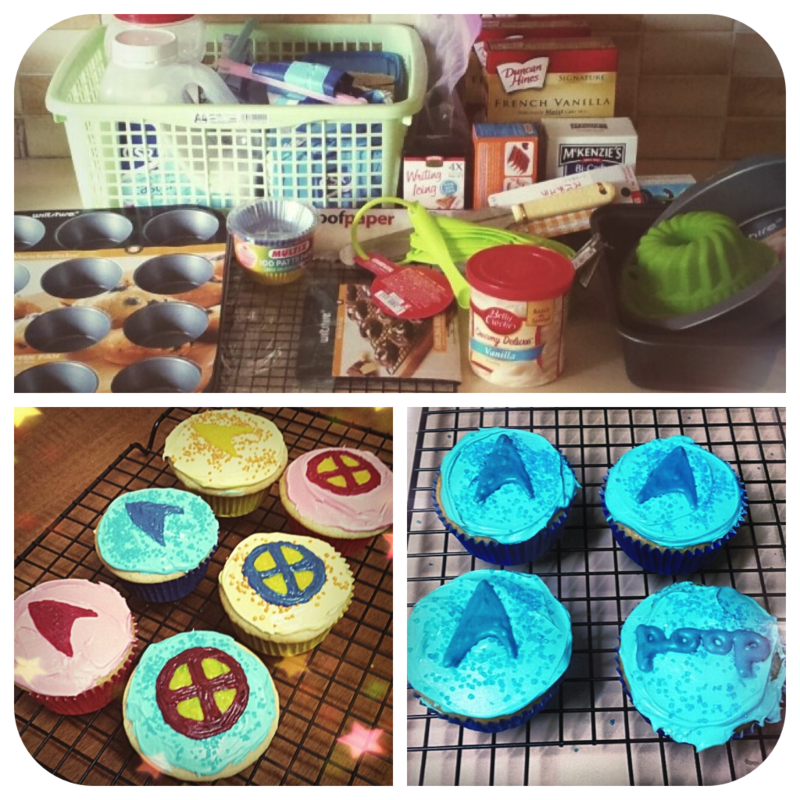 First I made a batch of Star Trek and X-Men cakes with icing logos. They turned out okay, but the original plan didn’t work out the way I wanted to so I had to improvise. Then I did another batch with colored white chocolate and they came out much better (except for the little fail cake in the corner which got a white chocolate “poop”, obviously). I also attempted Rice Krispie Treats which suffered a procedural malfunction, but I’m gonna try them again real soon. And of course I managed to get some crafting in. The top pic is from one of my lunch break crochet sessions. I’ve picked up the lace dress that I showed y’all ages ago. It WILL get done soon, I swear it. I also finished The Old Man & The Sea cardigan which I test knit for Mel of Singlehanded Knits because she is the most delightful of all. I love how it turned out. I still need to block it, but I keep forgetting to buy more blocking matts. I’ve also been slogging away at my Expedition sweater (which Mel gifted to me on Ravelry, coincidently). It’s on a long stockinette stretch, so I’m dawdling. But, hopefully I’ll get it done at some point this winter. Last Reveal and OFF YOU GO!! Aloha My Friend! I LOVE seeing what you have been up to! It is a bright light in my day! 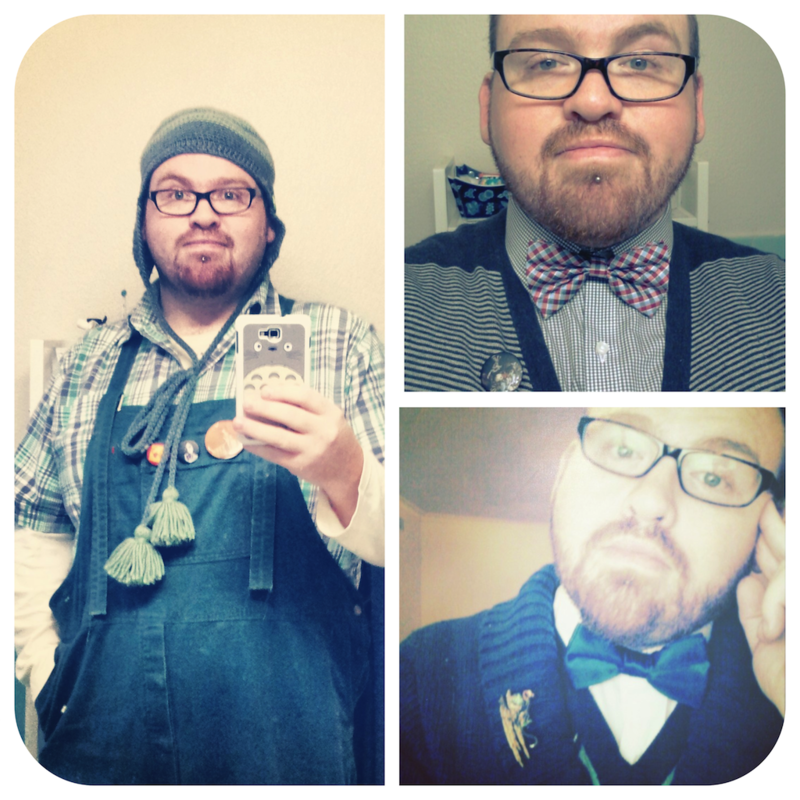 If I was a dude I would sport bowties every single day. I love them!!!! I am trying my hand (literally LOL!) at a fun online sewing class from @whipstitch on twitter. Super excited to try a new challenge in the hopes of starting this new year out on a productive note. Planning to sew some sweet summer dresses (as summer is the only season we have here…) and I can wear my handknits with them! When I get good I will sew you a new bowtie…and yse you can totally hold me to that! I AM TOTALLY COMING TO LIVE WITH YOU1 True fan of the bow tie, too.